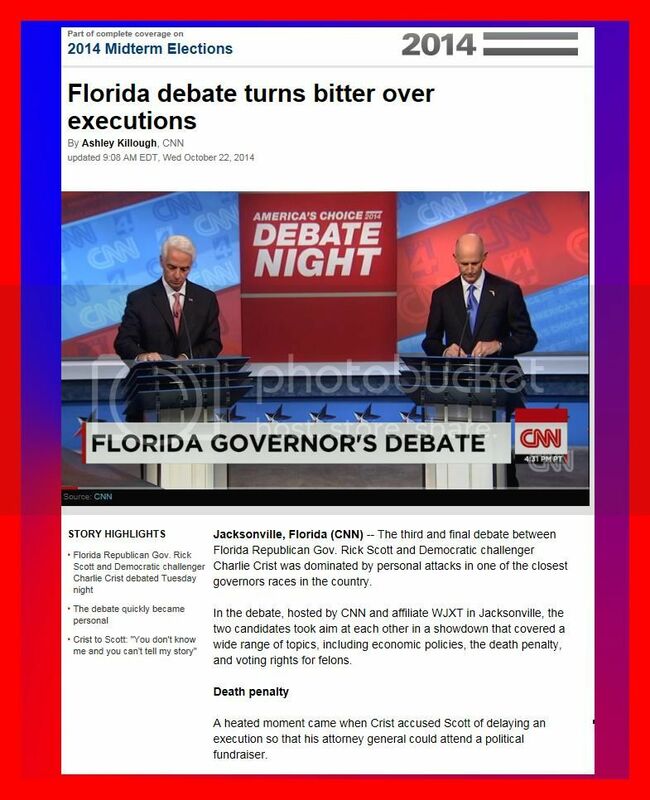 A heated moment came when Crist accused Scott of delaying an execution so that his attorney general could attend a political fundraiser. Charlie Crist: "He (Scott) doesn't like to answer questions... Pleads The Fifth..."